There are few films out there that have had as much an impact on the movie-going public as E.T. : The Extra-Terrestrial. 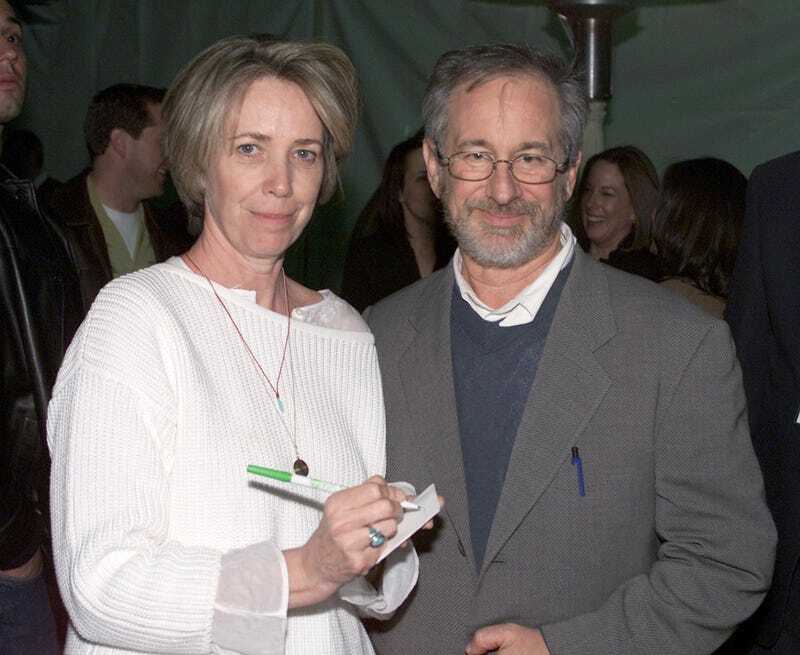 On Wednesday, Melissa Mathison, who authored the screenplay passed away at the age of 65 due to complications from cancer. Mathison got her start as a screenwriter when she was encouraged by Francis Ford Coppola to help write the script for 1979’s The Black Stallion. Her work on this film helped to bring her to the attention of Steven Spielberg, who met her while he was filming Indiana Jones and the Raiders of the Lost Ark. The Black Stallion was one of Spielberg’s favorites, and he asked her to help him write a film that he’d been wanting to write for a while. Spielberg had long wanted to write a film about a boy and an alien, dating back to his childhood, when he had created an imaginary friend to help him cope with his parent’s divorce. He’d intended to direct the movie in 1978 (titled Growing Up), only to have it delayed while he directed 1941. Later, the concept reemerged while he was contemplating a followup to Close Encounters of the Third Kind, with a much darker tone. Mathison was eventually convinced, and wrote the screenplay for E.T. and Me in eight weeks, with input from Spielberg. After the release of the movie (now titled E.T. : The Extra-Terrestrial) she was nominated for an Academy Award for her work. (She lost to Gandhi screenwriter John Briley). Mathison went on to write movies such as The Escape Artist (1982), Son of the Morning Star (1991), The Indian in the Cupboard (1995), Kundun (1997), and was actively at work on Spielberg’s The BFG, which is slated to come out next year. Her movies, especially E.T., demonstrated a deeper understanding of how children thought and acted, and was a screenwriter who understood just how a story worked for audiences. E.T.’s lasting influence and popularity is certainly proof of that.